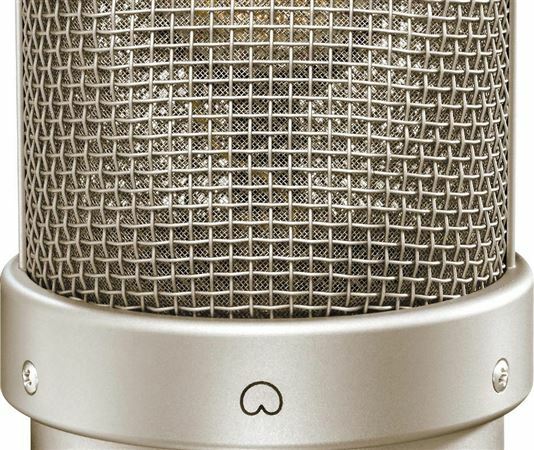 Exclusive 12, 8, 5 or 3 Easy Payments on Neumann TLM 49 Vocal Condenser Microphone only at AMS! Free 2 Day Shipping and Free Extended Warranty. Call our Gear Experts at 800-319-9043 for expert advice! 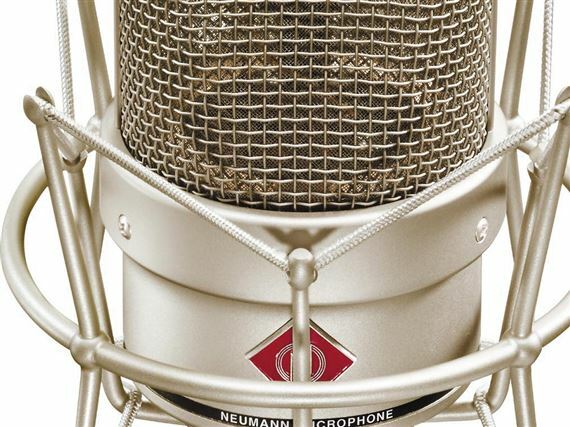 The Neumann TLM 49 is a large-diaphragm studio microphone with a cardioid directional characteristic and a warm sound which is especially optimized for vocal performance. The TLM 49 is inspired by the legendary M49 and M50 microphones, and the sound design of the TLM 49 will inevitably be compared to the M4 and U47 classic microphones. By combining its retro look with proven Neumann transformerless circuit technology, this microphone ensures low self-noise and the use of high gain levels. It is supplied as a set, with an elastic suspension, the EA 3. 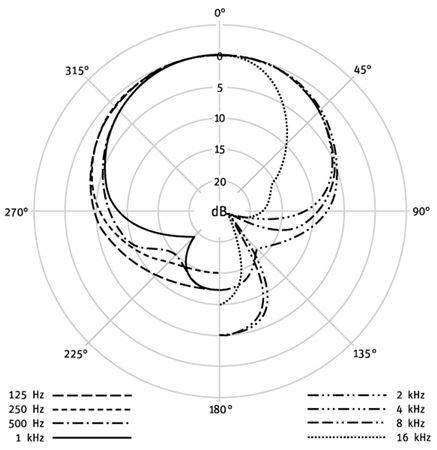 The large-diaphragm capsule of the TLM 49 provides a cardioid directional characteristic with a tendency toward supercardioid, due to the special capsule construction. Following the example of the M 49, high frequencies are more directional. The capsule diameter is 34 mm. 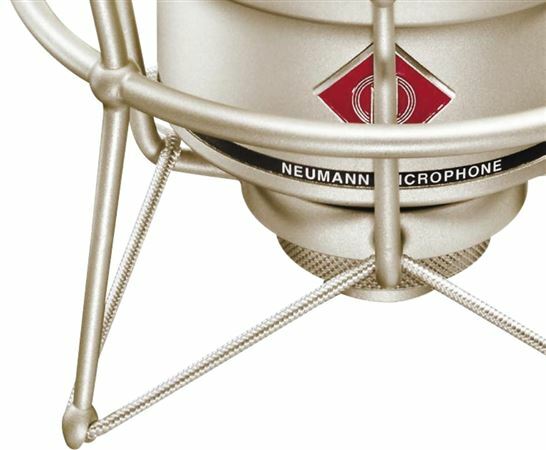 The front of the microphone is indicated by the red Neumann logo on the microphone body. The capsule is oriented so that the microphone is addressed from the front. The TLM 49 uses the famous K 47 capsule, which was also used in the M 49 and the U 47. The capsule has a linear frequency response up to the upper mid-range. Above 2 kHz there is a gentle presence boost up to 3 dB. The capsule is enclosed by a large microphone headgrille, which is acoustically very open and is hence neutral with regard to the sound. The letters TLM stand for transformerless microphone. With TLM technology the usual output transformer is replaced by an electronic circuit. As with traditional transformers, it ensures good common mode rejection, and prevents RF interference that may influence the balanced audio signal. Noise signals which affect the balanced modulation line are therefore effectively suppressed. The microphone can operate at sound pressure levels of up to 114 dB without distortion, and provides a dynamic range of 102 dB (A-weighted). The entire interior structure is mounted elastically, to prevent the transmission of structure-borne noise. In addition, the capsule is mounted with a rubber shock mount. Due to the wide frequency response, the TLM 49 can also transmit extremely low-frequency signals without coloration. Of course this means that the microphone is also sensitive to noise signals such as vibration noise and wind noise in this frequency range. 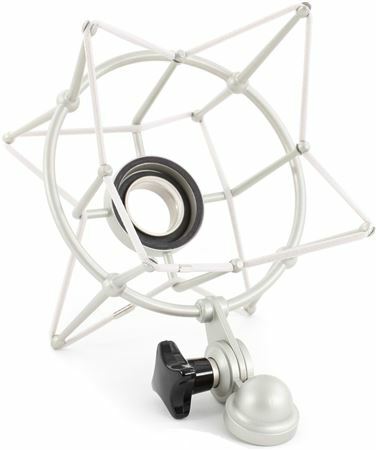 The TLM 49 is therefore supplied with the elastic suspension EA 3, which effectively protects the microphone from structure-borne noise. 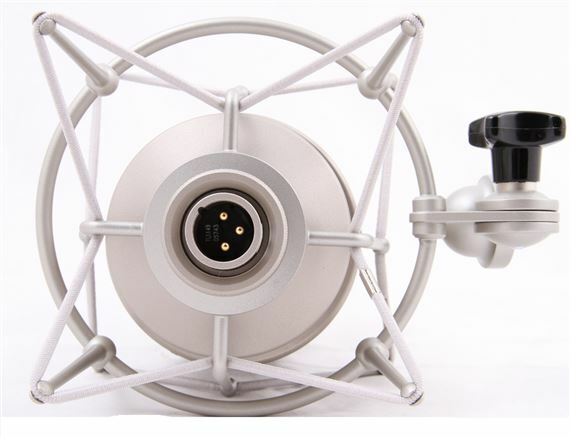 If the microphone is addressed at extremely close range, pop screen PS 15 or PS 20 a can be used in front of the microphone to provide protection against plosive sounds. These are just some of the most common applications. Neumann recommends additional experimentation to gain maximum use from this microphone. I love this microphone. It is now permanently attached to my UA 710-d! Best sounding mic I own! Best sounding mic I own. I have used it every day and compared it to all the other mics in my collection. Great MIC!! Warm mids Clear top end. Mic placement is very important. Perfect for vocals. It may sound crazy, but I am just starting out learning to sing, and so I therefore wanted to buy a great microphone to record with. I am actually a keyboardist, but I need to sing too and I have experimented with the Neumann TLM 102 before. I wanted something even more clean and satisfying. So I bought this microphone and for the past week have been making music both with and without processing. What I am hearing is a very smooth sound to my voice, and I think there is something special about this product that I could not get with other microphones. 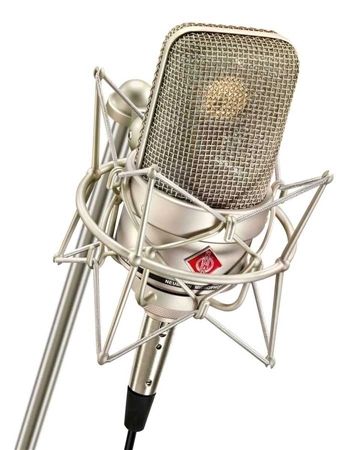 A microphone like this would probably be a good choice for just about any singer who, in her or his own studio, needs a well-built smooth sounding microphone that will capture many nuances of the voice of the singer (or speaker). Microphones like this are very interesting because a microphone should deliver a great and direct sound regardless of the kind of music one uses it for. The Neumann TLM 49 was a great choice for my studio. Professional quality at an affordable price! The mic is extremely well built. You can tell just by holding it, it is not a toy. It is warm and crisp but not overly so. I have no complaints about it and would not change a thing, especially at the price point. Hook it up and record. Its just that simple. I use it for vocals mainly and record flat with no eq or compression in the chain. In conjunction with my tube preamp I get such a rich full sound. The price is very reasonable and the performance is amazing. What else do you need to know? For the money you'd be hard pressed to find something better. The frame and actual mic is extremely well made. The shock mount included is probably the best I have ever seen. Well its pretty featureless. Its a large mic with a 3 point xlr interface. It is nice that it came with the shock mount as those are around $200 stand alone. The mic stand connection fits both large and small size stands. Plug and go. Not need to do anything else. The best I have used other than the U87 for V/O. Really if you are in the market for a new mic in the V/O world then this is the one without having to jump up to the u87. People will argue that there are mics that sound almost the exact same. But your not going to get the same build quality and no you will not have the same rich warm sound that this mic gives. The Sound Ive Been Looking For! Great Build quality.. Alot bigger than expected, almost twice the size of the TLM 103 and its a heavy Mic.. Its a Neumann so its built well! Very Easy to set up.. Just plug it in and go! This is the best mic Ive ever used.. The tone is truly professional very warm and airy.. Perfect sound! That Neumann sound lives in this mic! Plug and play, pretty simple!!!! I use a mic pre amp with mine so I had to tweak the pre amp to get the sound I was looking for. For those who don't use a pre amp, it's just plug and play. UREAL!!! This thing make you sound like the best.